Advocacy continues to be an integral part of LIFE’s programs and services. The ultimate goal of all advocacy efforts –whether it is Individual Advocacy, Self-Advocacy or Systems Advocacy - is to create an integrated society that is barrier free. Individual Advocacy involves advocating on behalf of, or more importantly, WITH an individual. Examples of individual advocacy can include calling a landlord on behalf of a consumer to help with widening a bathroom doorway or installing grab bars. Self-Advocacy is another form of individual advocacy that involves advocating on behalf of oneself. The goal is to stand up for and protect your own rights so that you can achieve your own dreams! Being an effective self-advocate requires the development of assertiveness skills, knowledge of rights, and strategizing skills. Self-advocacy activities may include effectively managing your own support services or participating in the decisions that affect your life such as where you live, work, or go to school. Systems Advocacy includes advocacy on behalf of a group or class of individuals, such as efforts to influence and implement local, state and national policy. 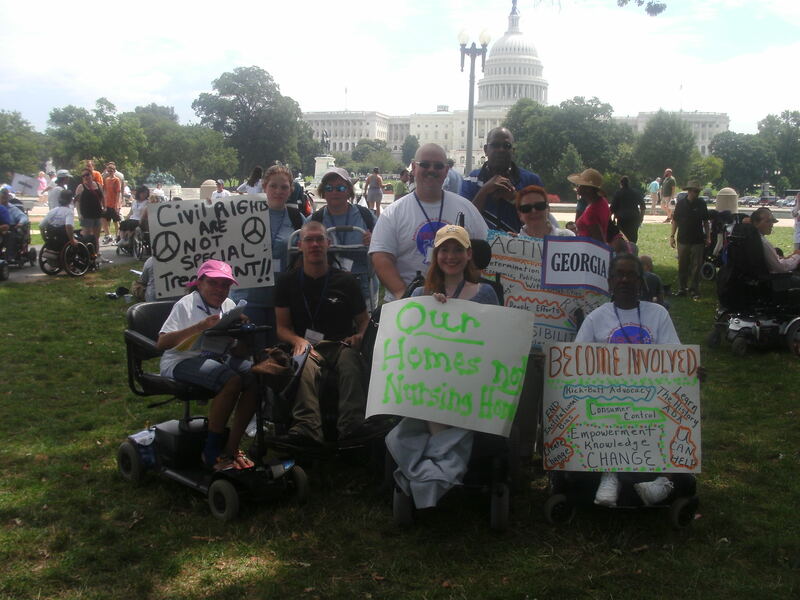 Examples of Systems Advocacy include educating legislators directly about disability-related issues and/or about the implications of proposed disability-related legislation. Systems Advocacy can also include participation on community-based committees working to improve systems such as access to transportation. LIFE, Inc. is an active member in a number of state and local coalitions and committees addressing issues such as fair housing, transportation, and increasing consumer directed options in long-term care. LIFE’s Independent Living Coordinators are waiting to assist YOU with your advocacy goals!